3rd Edition Just Released! No Increase In Cost! Limited Time Offer At This Price! Getting started in Brazilian jiu jitsu can be daunting. But training martial arts is one of the most beneficial things I've ever done, mentally and physically, but getting over the beginner's hump was where a chunk of those benefits come from. Thankfully the Internet now allows us to learn more easily from those who came before us. What should I look for in a good BJJ gym? What happens in a typical BJJ class? Is BJJ right for Women? How should I wash my gi? How often should I train BJJ, as a beginner? Is BJJ just a sport, or will it teach me self-defence? I'm really out of shape: Do I need to get fitter before starting BJJ? What are the belt ranks in BJJ? I'm getting frustrated with my lack of progress: how can I overcome this? I get tired quickly when sparring: what can I do? I'm scared of sparring what should I do? How do I avoid injuries in BJJ? I'm worried about getting cauliflower ear. How do I avoid it? Download and begin your Brazilian Jiu-Jitsu journey. Don't bother wasting your money on this book. You can find more information about BJJ on Wikipedia. It took me less than 15 minutes to read this book. Plus the statements about Ronda Rousey knowing BJJ are false. Rousey qualified for the 2004 Olympic Games in Athens, becoming the youngest judoka in the entire Games. Also in 2004, she won a gold medal at the World Junior Judo Championships in Budapest, Hungary. In April 2006, she became the first female U.S. judoka in nearly 10 years to win an A-Level tournament as she went 5-0 to claim gold at the Birmingham World Cup in Great Britain. Later that year, at 19 she won the bronze medal at the Junior World Championships, becoming the first U.S. athlete ever to win two Junior World medals. In February 2007, Rousey moved up to 70 kg where she ranked as one of the top three women in the world. She won the silver medal at the 2007 World Judo Championships in the middleweight division and the gold medal at the 2007 Pan American Games. In August 2008, Rousey competed at the 2008 Olympics in Beijing, China. She lost her quarterfinal to the Dutch ex-world champion Edith Bosch but qualified for a Bronze medal match bracket. Rousey defeated Annett Boehm by Yuko to win a bronze medal. With the victory, Rousey became the first American to win an Olympic medal in women's judo since its inception as an Olympic sport in 1992. 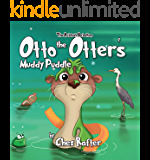 The author needs to more research before publishing a book. Every thing in this book was on the rules and history of the walls of the my club. 4.0 out of 5 starsGood beginner's guide on BJJ. Be strong that nothing can disturb your peace of mind. This is a very disciplined Brazilian jiu jitshu which will teach you to live productively and healthily. BJJ is combination of many forms like self-defense, combat sports, traditional moves and many more. This book is very informative and vivid about BJJ. This book motivates you to learn BJJ and tells you how this is better than a self-defense class. This book contain all the information of moves, postures and principles. But there were no pictures which disappointed me. 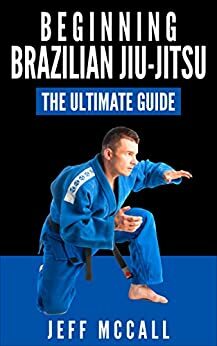 Though, this book is very helpful to know about BJJ. This book teaches you not just defending yourself or gain self-defense system but also teaches you how to apply the core principles of patience, control and efficiency in all areas of life. I think the author is very knowledgeable of this Jiu Jitsu because he delivered the learning process very well. This guide book will help you learn this Brazilian Jiu Jitsu step by step until you master the different moves. Really good for beginners. 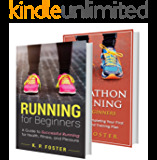 Very helpful to a beginner to understand the underlying, fundamental abstract concepts. As a complete beginner I struggled to see the forest through the trees and this helped provide some perspective that is valuable to continue on the journey.